Before we get started can we talk for a quick second? Wednesday I posted about a chance to help others, by collecting change for a scholarship fund. You can read more about the cause HERE. I'm not trying to get down on anyone in any way, but I felt a little bit disappointed. There were over 300 of you who wanted to win some nail shields, but only one or two of you who were willing to gather change for this cause. Now I know times are tough and I know there are lots of opportunities to help others and I know you may not know anything about these students.....but even so, can't we do better? Just a thought. Jess who said: "Super snazzy, fun toes! Best part - no nail polish tipped over on the carpet by helpful 4 year olds running around! So worth the extra $$." Today I wanted to do a little round up of fun finds. They aren't all tutorials this time, but just things I really wanted to share. 1) My friend Mandi at Vintage Revivals just finished an epic bedroom makeover for one of her readers. Go check it out HERE. It's worth your time. She made closet doors look like board and batten. The thing I love about Mandi is that she's geniunely creative. She does things that no one does. She's different and I love that. Here's a tiny sneak peek. 2) I saw these adorable bracelets in a link party this week. They are from Aubree at Yellow Blackbird. They are an Anthro knock off and I just love it when I like the knock off better than the original. You'll find the tutorial HERE. 3) I wanted to show you this etsy shop, Wishes and Wants. 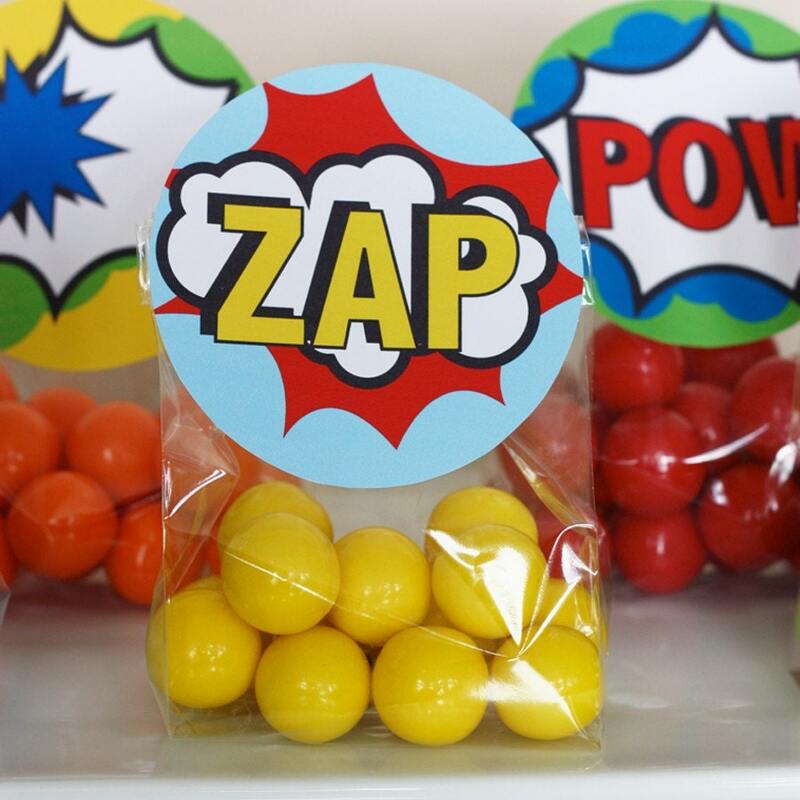 They have the most adorable printables for parties. 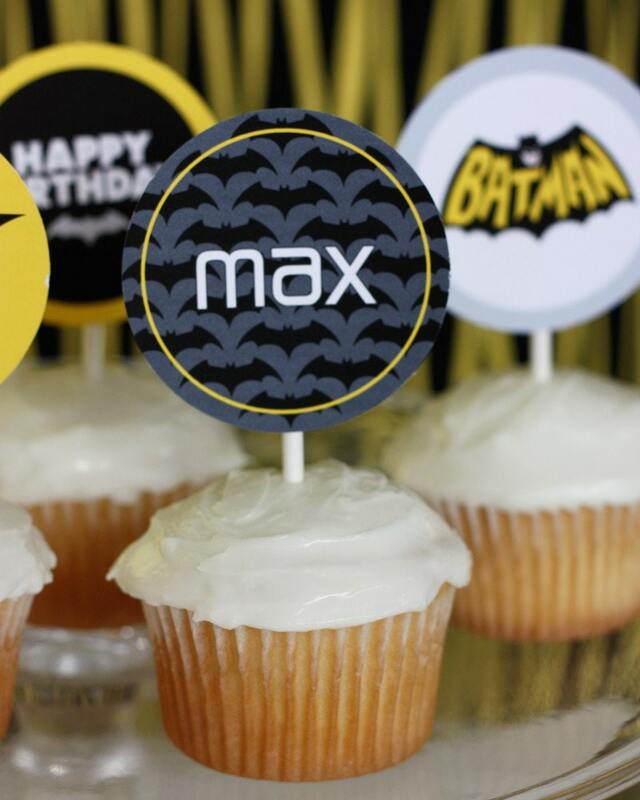 Debbie was really kind to offer us the awesome superhero printables for Rex's birthday, but we didn't end up having a party this year. However, if you're planning a birthday soon you might want to check out her shop. Her designs are awesome and she has lots of themes to choose from. 5) This is a bit random, but I know a lot of you live in Utah and Idaho. The Wal-mart off of 114th in South Jordan is trying out a whole new line of clothing. It's like DownEast, but the prices are even better. I was over there the other day and I was excited by the great clothing and the prices when four big guys approached me. I was a bit alarmed, wondering what they were going to say to me. They all worked there. They stopped right in front of me and said, "So, what do you think?" I said, "About what? The clothes?" They explained how they had been working hard to get this line of clothing in Wal-mart and they wanted my thoughts as a consumer. I said I thought it rocked and they just needed to get the word out. I said, "I have a blog. Maybe I'll mention it." Then one of the guys asked me what it was called. I told him and he piped up with a smile. "My wife reads your blog!" It made me feel kind of cool :) Thanks Janelle! Anyhow, the moral of the story is, if you like inexpensive cute clothing and you live in Utah or Idaho then you should check out the new "Bella Bird" line at Wal-mart. Their site lists which Wal-marts currently have the line. And that's all for today. Thank you for reading. Cheri, thanks for sharing all of these wonderful finds. I really hope they bring Bellabird to GA! Those clothes are so super cute and affordable! P.S. I have a whole container of change I'm happy to donate. I'm almost sad you posted this, it's so fantastic and SO far away! Bella Bird needs to come to the south too!!! I love that you posted about Bella Bird because I have also been telling everyone I know about it! I have bought a few things and wish I could go back for more, it is amazing! That stinks for us out-of-staters! Too bad they don't even sell Bella Bird on walmart's website! Those are darling things to showcase! I liked the opening of your post. I try my best to do your Wake up Wednesdays. Being said, I don't know those wonderful kids for change for change...but it got me thinking...I have an aunt who teaches underprivileged kids, some seem unloved by their parents, so speaking with her and my small group of friends (I live in PA) we are starting our own little change for change, in hopes of helping a few of those kids by the winter holidays. We haven't decided if the change should be applied to a scholarship fund, or to help some of these kids be able to afford the essentials (heat, winter clothes..) but our minds are churning - thanks to your post this past Wednesday. Good for you for adding that opener. It always bothers me that there seem to be 5 regular people that comment then when a giveaway pops up, they come out of the wood work! My family is definitely doing this challenge. We are blessed and even though our budget is tight, this is something we can do. LOVE the new Walmart line! I'm happy to see that the Layton store carries it. I'm absolutely heading there with my mom when I come out in August! Great finds. I have a tab for each open right now! My mind can't decide what to look at! hahah The Bella Bird line is ADORABLE. Why do I have to be in Washington?! Maybe a trip to Walmart in Idaho soon. (I'm sure the hubs would love that. lol) Thanks! The Walmart on 6200 and 5600 W has that line too. I love them. So nice to see cute modest clothes. Just saw those clothes last night at the Layton Wal Mart! They are very cute and ... small. Not going to work for gals who are much above a size 12, I think. A friend recently introduced me to your blog and I really enjoy reading it! Your posts are great! You might even inspire me to start writing regularly in my blog again. Your creative ideas and projects are wonderful, and your kids are cute too! :) Thanks! Please remember something, this is your blog, and your choice to dontate to certain charities/fundraisers that are important to YOU. Just because all of your readers don't jump on your bandwagon does not mean that we don't do other things of our 'own' choosing to help charity and fundraising. Just because you write a blog, and people read your blog (mostly for entertainment and enjoyment purposes) doesn't give you the right to dictate to your reader where they 'should' spend their time/effort/money regarding charity work. Maybe, if your readers didn't have the response that you wanted, it means that the specific fundraising you are doing is not as meaningful to your readers as it might be to you. Again, just because you have a small response to one of the ideas YOU believe in, does not really give you any right to 'repremand' your readers for not engaging in that same idea. You have very little idea about what kind of charitable work/helping others your readers really do in their private lives. Also, it is important to remember that in this economy, I know of many families who 'collect change' so that they themselves can afford extra food or extra needed clothing. You really need to think through your posts a bit more before you hit publish. Oh boy, Vintage Revivals is AMAZING. Thank you so much for sharing! :) I'm currently looking for my first home, have a very limited budget and a ton of old furniture and the blog, specially the Epic Room Makeover, is great inspiration. Actually I think you might be the one who needs to think before clicking publish. Or frankly, if you're going to be outright rude, you can give me the chance to write you back by having a traceable identity. If you were offended by what I said you might just want to look inside yourself a bit. There was nothing offensive there. All I was saying, is that out of 17,000 followers and subscribers who read this blog I thought more than 1-2 would take the chance to help out. That's it. I have a right to say that because as you mentioned - it's MY blog. If I offended you by encouraging people to do good then perhaps this blog isn't a good fit for your daily reads. I understand that the ecomony isn't great. I really get that. That hits home for us as well. I just believe that we are blessed for giving, especially when it's a challenging time to give. I think if you read my post when you are in a nice mood you'll see that there was nothing offensive in it. Just a call for people to reach out. Have a lovely day. I hope things will be looking up for you soon. i signed up to help. such a good point. come on people! do something for others. i find this a GREAT cause to help. . . and it gets even BETTER with the change you find in your pockets, you ACTUALLY have a place to put it rather than inside your washer!!!! come on people! I love the Change for Change concept. And I think that as it is your blog you do have the right to say whatever you think and promote whomever you choose. In my case, with a limited budget, I have chosen to donate to those in need who are in my town. As a family we keep a change jar on a shelf in the living room. When it gets full we donate it to our church for them to distribute to those in need in our area. But please keep encouraging your readers to give back! On a lighter note, I need Bella Bird to come to Texas!! I'm disappointed that there's not even a contact us link on their website to tell them that other area's are interested in seeing them expand. Love the Walmart clothes! Wish we could get them in ND or MN! Where is the 4th find? I see 1, 2, 3, and 5 but no 4. Just curious. I like to see what you've found. Good heavens, I was at my walmart in ID and walked through the Bella bird section and nearly forgot where I was, I was Thrilled! Such lovely colors and materials! LOVE IT! I love how you effect little ripples of change. From pricking the collective conscience, however painful ;-), to providing feedback on a cool clothing line at your local store. Thank you for your courage and your blog, sweet Cheri. I didn't sign up to donate change, but wanted you to know that your post inspired me (and my 3 kids!) to save our change for a good cause local to us! So even though you didn't get the comments to help, I hope others have been inspired like I have been. Thanks for you blog! I love it! I can see you disappointment at not getting the immediate response you wanted in the way of donations. On the other hand, i can also see where Amy is coming from by saying this cause may not be as important to your readers as other causes closer to their hearts. One must have faith and believe that there is inherent good in each of us. Actions may speak louder than words, but actions come from thought, then intention. Do not be disheartened. Be proud and joyous that you have planted the seed of thought in each of your readers - this is powerful and more far reaching than you can imagine. You have set the ball rolling and chains of reactions are happening, many of which you do not know about. I have been out of town and just saw this. Thanks so much for featuring my bracelets! I am honored to have been mentioned on your site. I have received a lot of traffic to both my blog and Etsy shop. Thank you thank you thank you! Thanks for the sweet shout-out! It was so so fun seeing you last week! You are amazing and wonderful!! Cheri...I'm so glad you said something about this post! I was at girls camp and missed this post (but I'm not sure how because I am religious about reading all of your posts even if I am gone for a time!) Keith will love to hear about it and read the comments, and I'm not going to lie...I am feeling SO COOL my name was mentioned in YOUR BLOG! Seriously made my day!